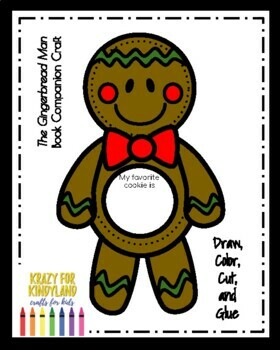 As you read The Gingerbread Man this Christmas, students share their favorites kinds of cookies with this cute little craft! The Gingerbread Man won’t have to worry about getting eaten with your little friends since they have other cookie flavors on their minds! 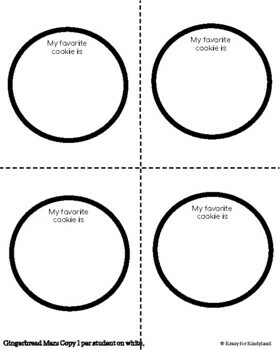 Students draw a picture of their favorite cookie. 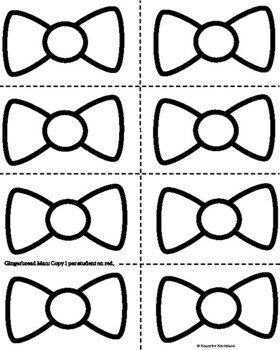 Teacher or student labels the cookie. 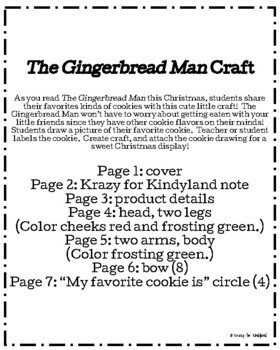 Create craft, and attach the cookie drawing for a sweet Christmas display!